Aldaria may well be the underdog with the bigger bite, but the boys with the bark will always win. Close your eyes; you're back at school, it's football and time to be picked. Are you first or last? Is it as much a game of the politics of popularity as Eurovision? Possibly. One team is always stronger than the other, but the underdog always has a bite bigger than the other's bark. Underrated Norwegian Power-Metal outfit Memorized Dream's guitarist Frode Hovd is the underdog, having compiled an under-the-radar "who's who" of European Power and Symphonic Metal for his Avantasia-aping Rock Opera epic Aldaria. 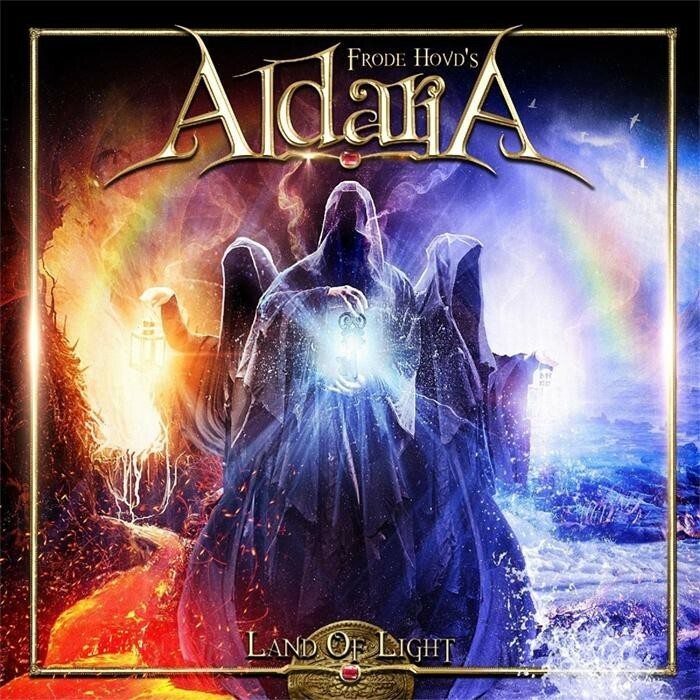 Spanning across eleven guest-riddled tracks, featuring the likes of Fabio Lione, Rick Altzi, Roland Grapow, Mike LePond and Todd Michael Hall among others, 'Land Of Light' tells the tale of the Guardians Of The Light as they battle to protect the land of Aldaria (the dimension between Heaven & Hell) from being overcome by a haunting darkness. In a paint-by-numbers amalgamation of Power Metal, Symphonic Metal and Rock Opera, Hovd's debut dive into the land of Aldaria is the underdog of its genre, with a bite bigger than another's bark. From the harrowing opening bells of 'Exitare Ad Lucem' to true opener 'Another Life', the album gives off the sound of Avantasia as if it's true-to-its-form, clone-like, twisting-and-turning tunnels of riveting riffs and soaring solos are nothing but the work of a worshipper of the original. However, follow-up 'Guardians Of The Light' provides the ever-expansive scene-setting the concept requires, in no part thanks to a set of powerful vocal performances from Wardrum's Yannis Papadopoulos and Qantice's David Akesson. This early switch of power is essentially Aldaria's Achilles heel; the potential to be the greatest is there, if only they themselves could let go of their love for the greats. On the few occasions Aldaria stray away from the formula, they find themselves falling short of the mark, particularly on the piano-laden, lighter-waving 'Sands Of Time', in which one of the album's finest vocal performances is turned in by Sunburst's Vasillis Georgiou and undiscovered diamond-in-the-rough Mina Giannopoulou, only to be subsequently let down by a song struck with sawdust. Whilst the ever-changing revolving door of vocalists works hand-in-hand, the constant changing of musicians never quite allows the album to find its feet sonically, slowing it down and slugging itself across the finish line. Aldaria may well be the underdog with the bigger bite, but the boys with the bark will always win; that's the way the story is written.